Gentleman, are you ready to see what item you need to have within your wardrobe for this Summer... according to the Internet, that is. 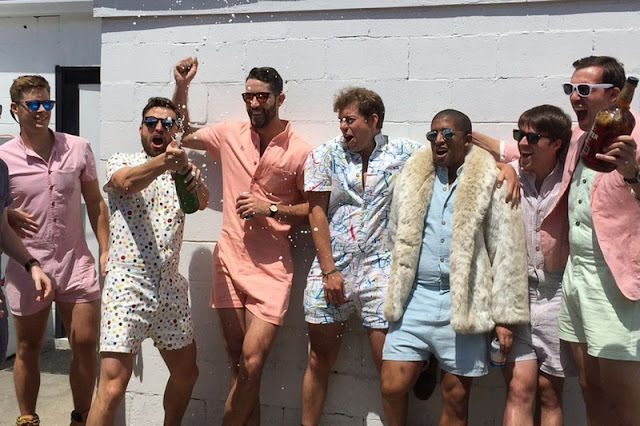 Launched by ACED Design, a "group of business school friends who decided to try to bring something new to menswear," has gone and done just that with their latest design; the male romper aka the RompHim. With style and ease, you can be the center of attention wherever you go; the market, tennis match, or at a friends BBQ. 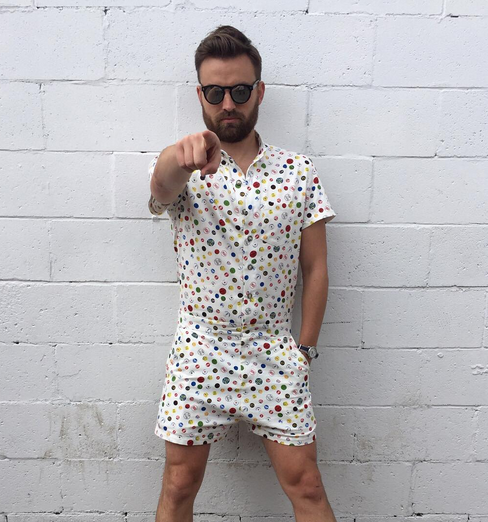 With Summer just around the corner, you really can pull out all the stops with this ensemble. After launching a Kickstarter with a goal of $10,000, to help launch themselves into the fashion world, the masterminds behind the piece have already surpassed their goal and raised $126,511 with another 27 days to go. Available in red, blue and a splatter paint print with a special 4th July limited edition up for sale, there's a style to suit everyone. What about product features you say? Don't worry, they've got them down; pockets, adjustable waist tabs, zippered back pockets to keep your wallet safe, and most importantly for you gents, a zipper fly, making it easy to go pee. And all for £60, which is pretty good! If it's good enough for Sean Connery in James Bond, then it's good enough for us.